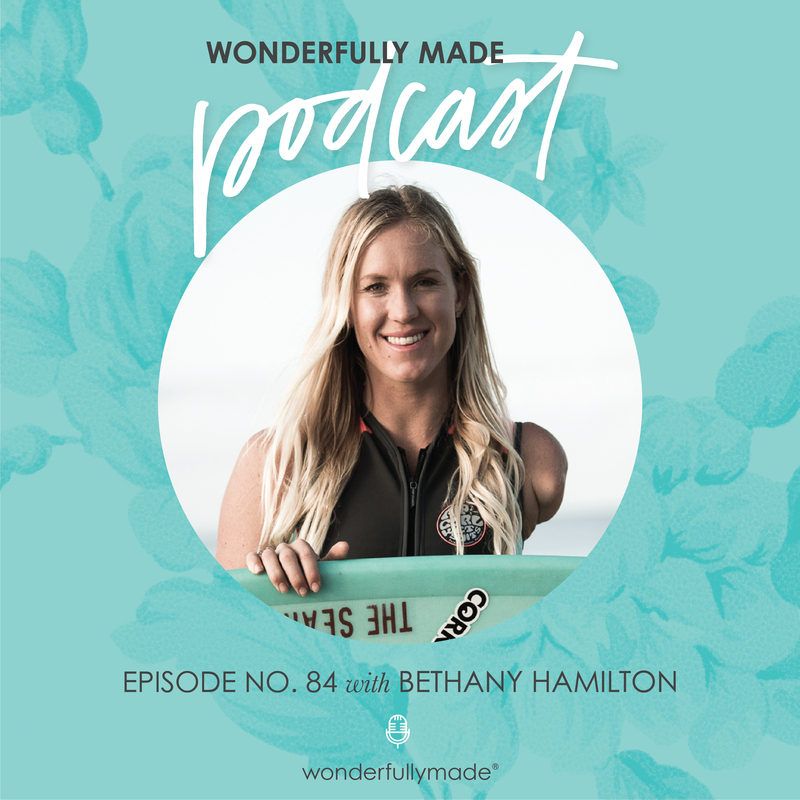 Allie Marie Smith interviews a dear friend of Wonderfully Made, professional surfer Bethany Hamilton. Bethany shares about her new documentary “Unstoppable” and what the title of her new film means to her. She offers encouragement to anyone facing adversity. Bethany shares what being “wonderfully made” means to her and offers encouragement to those struggling to accept this profound truth. You will be inspired to chase your dreams and overcome challenges as you listen to our conversation with Bethany. Join Bethany for our Wonderfully Made benefit event and the Santa Barbara premiere of her documentary “Unstoppable” on Sunday, April 14th, 2019 at the Arlington Theatre in downtown Santa Barbara. Get your tickets here. Thanks for being a part of our tribe! To learn more about Wonderfully Made, please visit us at wonderfullymade.org. If you’re enjoying this podcast, it would mean so much to us if you’d rate or review this via iTunes as it helps other girls and women find encouragement through our conversations. We’d love to encourage you each day through Instagram and Facebook. We also invite you to become a monthly value-builder or financial supporter of our non-profit ministry and join us in helping young women know their true worth.